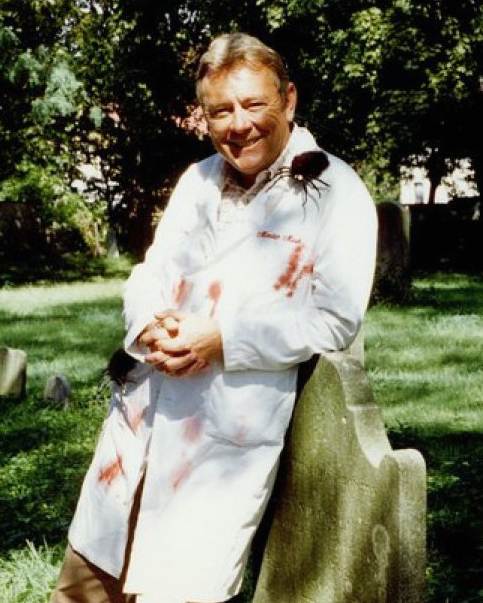 Born in Somerville Massachusetts in 1940, a young Bobby Pickett became fascinated by the horror movies he viewed at the theater managed by his father. By the time Bobby was nine, he mastered impressions of two of the best actors of the genre, Boris Karloff and Bela Lugosi. After graduating from high school, Pickett served in the Army in Korea for three years and on the ship on his way home, an a cappella group needed a bass/baritone. He joined the group for a show and his singing career was born. One night, they were singing on the beach and approached by a young lady who told them her dad was a record producer and they should give him a call. The lead was solid. The producer was none other than Gary Paxton, who as lead singer of The Hollywood Argyles rode the song Alley Oop to #1 in 1960. Capizzi called the producer, set up the audition and The Cordials were signed to a recording contract. There is no information available for recordings by The Cordials on Paxton’s label, Garpax Records. But the group continued to perform. “The Cordials used to do Little Darlin’ by The Diamonds. In the monologue in the middle of the song there is a recitation, ‘Darlin' I need you, to hold in mine your little hand.’ Pickett told Lenny, ‘Let me do this rap as Boris Karloff!’ He said, ‘Great idea!’ So we sing the song, and I do Boris Karloff, and the audience would split up,” recalled Bobby. Paxton added the sound effects. He blew bubbles through a straw for the bubbling effect, pulled a nail out of a board to get the creaking coffin door sound and dragged chains across the floor. 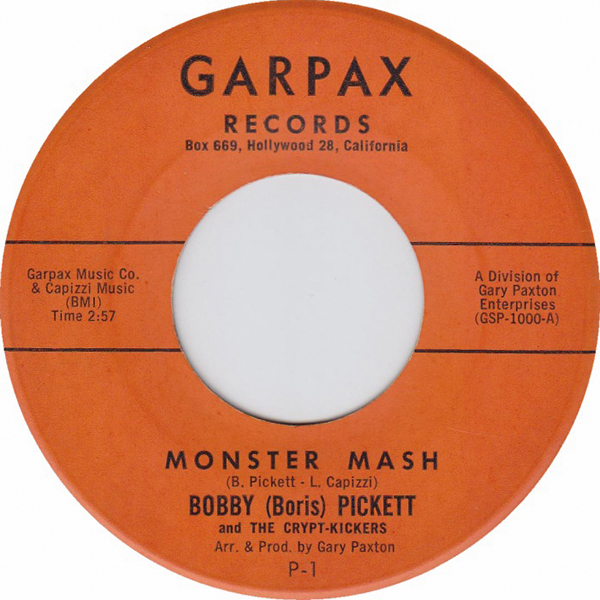 It took Pickett a half hour to add vocals to a rhythm track of bass, drum and piano played by Johnny McCrae, Rickie Page and Paxton — The Crypt-Kickers! Paxton shopped the song to a number of major labels around Los Angeles but none were interested. So he pressed anywhere from 500-1000 copies, depending on the source, on his own Garpax label and drove up the coast from Ventura to Fresno handing out copies to radio stations along the way. The D.J.’s played it, the listeners loved it and the request lines lit up. By the time he returned to southern California the song was breaking as a major hit. London Records, one of the labels that initially rejected the song, said they changed their mind and wanted the record. Monster Mash hit the Hot 100 chart on September 8, 1962 where it began a fourteen-week ride ascending to #1 on October 20 for a two-week stay. 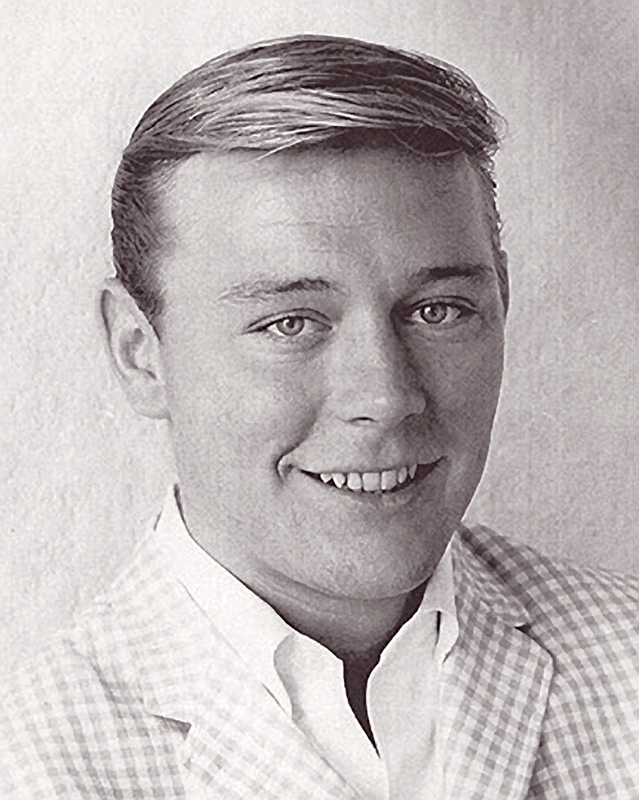 (2) Arguably the most successful novelty song of all time, Bobby Pickett accomplished the rare feat of reaching the Billboard Hot 100 music chart three times with the same song. In addition to 1962, the song re-entered the Hot 100 on August 29, 1970 peaking at #91, and then again on May 5, 1972 when it went all the way to #10. (3) The song has sold over four million copies. Pickett’s last known performance was in November of 2006, five months before he died from leukemia at the age of 69. His memory lives on every Halloween when the Monster Mash is resurrected on the airwaves. Bobby performs Monster Mash on American Bandstand. 2) Whitburn, Joel, Top Pop Singles 1955-2002, Page 547. 3) Whitburn, Joel, Billboard Hot 100 Charts. Photo courtesy of Stuart Hersh.